1. Create and collect content: whether you're publishing documents, events, books, images, videos, address books and more, you may start from your computer hard drive, or re–publish content already online. BEdita has tools to manage and aggregate natively content from third party web sites, like Flickr, YouTube, Vimeo, Blip.tv or any RSS/Atom feed. 2. Establish and manage connections. You may use pre–defined relation types, like "see also", "download" or "translation"; or you may customize the system defining new types which better fit the kind of connection you need. 3. Publish your now structured content. 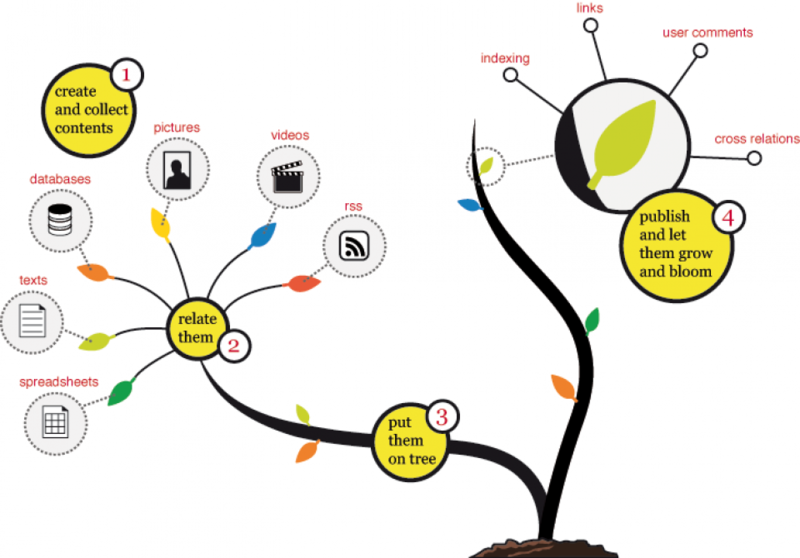 Define a tree of contents and decide where, when and how they will be presented. 4. 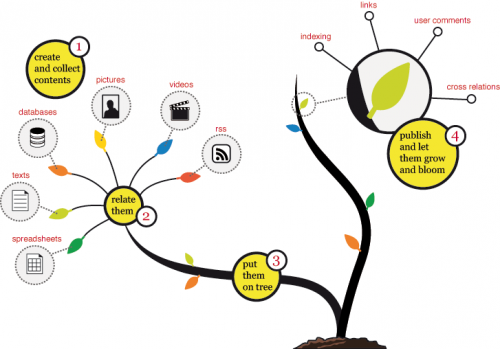 Let all your informative patrimony grow, with comments, tags, categories, connections with social networks, indexes. within the rest of your system and the web. De–centralization and interoperability are basic principles of BEdita and the new paradigms of the Web.